What does ‘usually females’ refer to? Presumably names. As with ships. 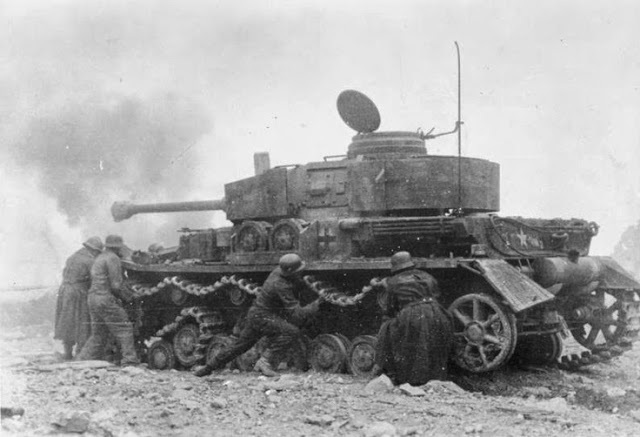 Tanks were referred to as land ships. All boats are thought of as females....Wonder if it's because they have seamen in them? (Probably thought of much earlier in history, but I thought of it just now..so there! I've no idea Jo anne. Like women she's unpredictable? Though I now remember that being mentioned on the Gy Martin prog where he & JCB built a replica WWI tank. Females were WW1 tanks that had machine guns only instead of machine guns and main armament (cannon 6 pounders). Males were the ones with both sets of firepower, they were used to support each other in pairs males and females. An easier read then Wiki, and neatly typed, too. 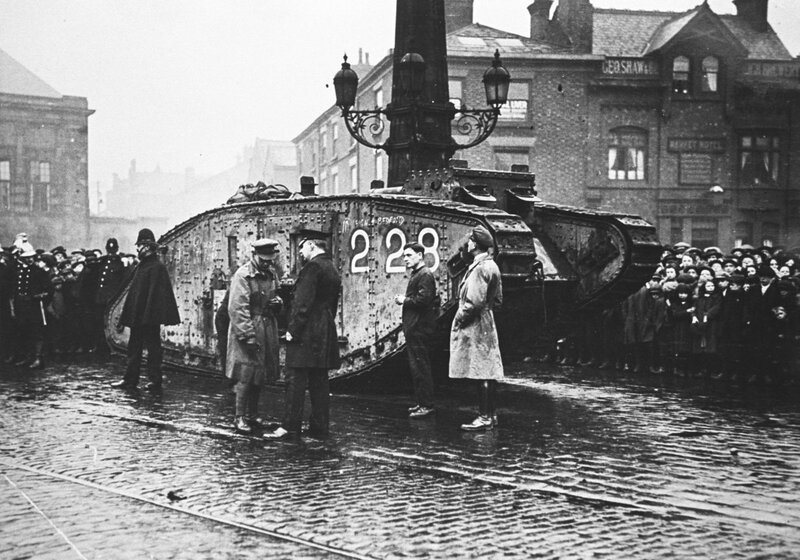 Photograph of a tank during Wigan Tank Week, 15-20 April 1918. The tank has two forward facing guns and is painted with two Union Flags and decorated with multi-coloured light bulbs. Haha, just spotted your link, Mester. Sorry, Mac, I’m distracted looking through the archives. @Joseph wrote: Haha, just spotted your link, Mester. Explain to Mac what 'thrown a track' means. Ah but the idea was that a female tank would only cut you to pieces with gun fire, the male would blow into dog meat and shoot you at the same time, a more manly death and a lesson learned for starting wars. @Admin wrote: I've no idea Jo anne. Like women she's unpredictable? Always good to keep them guessing, Admin. An interesting topic, thanks. P2/2 By the 1930s many were rusting away, and a combination of pacifist sentiment and lack of funds for their upkeep led Councils up and down the country to scrap them.